Tasnim – Iran’s homegrown long-range air defense missile system dubbed “Bavar-373” is planned to come into operation in the next Iranian year (begins on March 21, 2018), Commander of Khatam al-Anbia Air Defense Base Brigadier General Farzad Esmaili announced. Speaking to reporters in Tehran on Wednesday, Brigadier General Esmaili pointed to the employment of the Russian-made S-300 anti-aircraft missile system, saying it has been installed and is operated by the country’s air defense forces. Iran took the delivery of the S300-PMU2 missile system from Russia in July 2016. 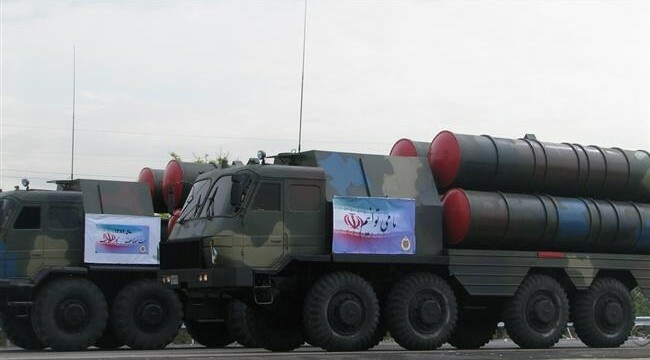 The commander added that the Bavar-373 missile system, which would be “stronger than the S-300”, is planned to be tested by the end of the current Iranian year (March 20, 2018). He went on to say that the domestically-made missile system will be added to the country’s integrated air defense network in the next Iranian year.